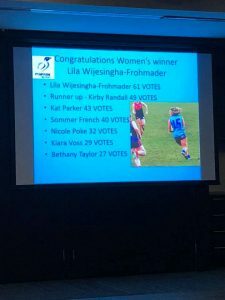 Congratulations to our Women’s Best & Fairest for 2018 – Lila Wijesingha-Frohmader. Lila lead from the front as captain of the Women’s team with some outstanding individual performances this year. 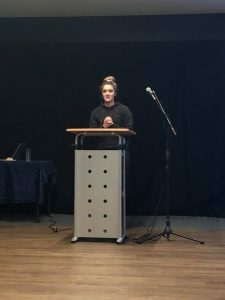 She also played the role of coach at times in the second half of the season, taking the training runs to ensure the Two Blues made finals for the second consecutive year. A big congratulations also goes to Runner-up Kirby Randall! 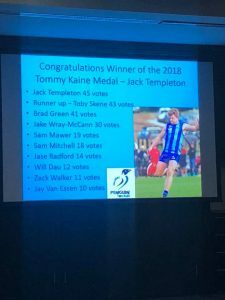 Congratulations to our Senior Best & Fairest for 2018 – Jack Templeton. Our Senior skipper lead from the front all year dominating all over the ground. Kicks goals when forward, takes big contested marks when back and gets plenty of the ball when running through the middle. Even better that he has signed on for 2019! A big congratulations also goes to Runner-up Toby Skene! 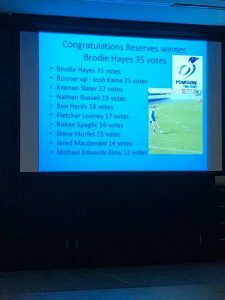 Congratulations to our Reserves Best & Fairest for 2018 – Brodie Hayes. A massive effort by Hayesy this year as he travelled up from Launceston every week. He found plenty of the ball all year and always used it well with his excellent foot skills. 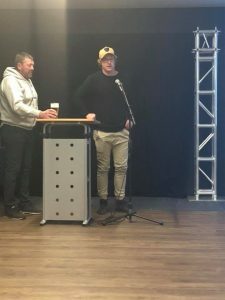 A big reason why the Reserves are playing off for a spot in the Grand Final tomorrow! A big congratulations also goes to Runner-up Josh Kaine! 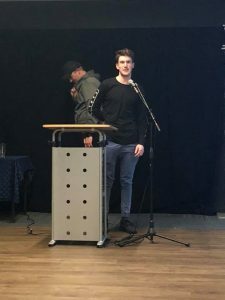 Congratulations to our Under 18 Best & Fairest for 2018 – Ben Callaghan. 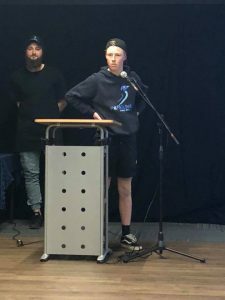 Benny was captain of the Under 16’s this year where he also won the Best & Fairest (tied). 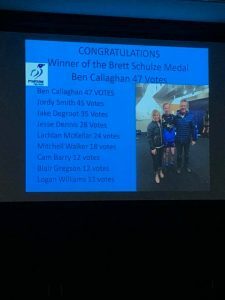 Through his excellent form in the Under 16’s and Under 18’s he earned himself a Senior call up and was also handed down retiring Penguin superstar Rodney King’s famous number 10 jumper. A big congratulations also goes to Runner-up Jordy Smith!